News aggregators are apps that collects content from various sources and presents them in one location for easy viewing. Millions of people use them on a daily basis to catch up on what's happening in the world, and their popularity has caused an influx of apps all vying for your attention. But, which ones are worth your time? Here are ten of the best news aggregator apps you should check out. Not only does Pocket bookmark online articles, it makes recommendations based on your interests as well. It's missing some notable categories like Sports or Politics. Pocket is a great way to bookmark and manage a list of internet articles you want to read later, but did you know it's also a good place to find stories as well? All you have to do is select the Recommended or Explore links to find a variety of trending articles on the Pocket network. Recommendations are partly based on previous articles you've saved, so there's a good chance you'll find something matching your interests. Pocket is available for mobile and web browsers and is integrated into over 500 applications, which makes it simple to save and share your favorite stories. Its magazine-style format is beautiful to look at. Coverage of trending stories can get repetitive. Flipboard is a popular news aggregator known for its lovely magazine-style layout. Available via web browsers or on iOS and Android, it takes content from news sources and social media, presents it as a personalized digital magazine, and lets users "flip" through it; users can select a variety of interesting topics. 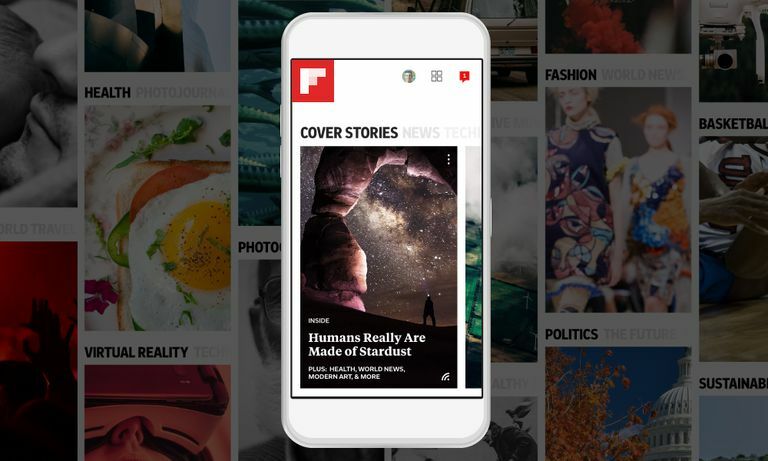 Flipboard claims to offer a "curated experience with a plurality of voices," meaning odds are good you're going to find something worth reading every time you open the app. The personal briefing provides a concise snapshot of the day's big news stories. Not every article in your feed will be relevant to your interests. Google Reader might be gone, but the technology behemoth still has a popular news aggregator in the form of Google News. Like other apps on this list, it pulls thousands of articles from credible online news organizations, blogs, and magazines, and presents it in a polished format. Google News gives users the option to set up a personal briefing that updates throughout the day with relevant stories, or users can choose to get full coverage about a topic, including different perspectives, a timeline of key events, and more. Additionally, Google makes it easy to subscribe to newspapers and magazines with a single tap, so you can support the publications you love. It has a sense of humor. There's currently no Android version. Fark is a good place to find news of a more peculiar variety. Created by Drew Curtis in 1999, community members submit potential news stories to the website on a daily basis and the Fark team chooses around 100 to display on the homepage. Articles are categorized with tags like "Awkward," "Creepy," "Ironic," or "Florida." Fark is further broken up over several tabs for Entertainment, Sports, Politics, and more. There's also a mobile app called Hey! On Fark.com for iOS. Unfortunately, Android users will have to stick with the mobile version of the website for now. Like most Apple products, it looks great. Like most Apple products, it's hampered by being part of a closed ecosystem. Apple News comes preloaded on every iOS device, so it's a good place to start if you're a iPhone or iPad owner looking to catch up on the day's news. The app features a clean format with beautiful photography, and articles are optimized for iPhone, iPad, and Mac, so readers are guaranteed a good reading experience on any device. Apple News offers a big selection of news organizations and indie publications, and Apple promises it will get better at understanding a user's interests the more they use it. A daily, curated digest and the ability to save articles for offline viewing round out its list of features. Its no-nonsense approach to news reporting. It's a bit plain compared to other apps on this list (except for the gorgeous photo galleries). While a variety of news outlets have their own mobile apps, AP News is the place to go if, like Sgt. Joe Friday, you're just looking for the facts. The Associated Press is an independent, nonprofit news cooperative providing content to other outlets; it's won 52 Pulitzer Prizes since the award was established in 1917. Although the app isn't as fancy as some of the others on this list, it's clean, readable, and full of beautiful photo galleries from the AP's award-winning photojournalists. It has an active community for practically any topic. Yes, Reddit has a reputation for housing some terrible internet content, but there's good there as well. If you're looking for a blend of interesting news, memes, and community chat, it's worth checking out. You can tailor your news feed by subscribing to various subreddits or contribute your own photos, memes, and stories. Reddit has a pretty engaged community, meaning there's always something worth reading and/or discussing. Plus, the official app offers some new features like community group chat, a night mode, and more. SmartView mode is a godsend for people with slower connections. SmartNews claims to emphasize discovery over personalization, which means you could get stories you're not interested in reading. SmartNews claims to analyze millions of articles every day to deliver the top trending news stories from around the world. It favors discovery over personalization, offering a "both sides" perspective to the latest trending topics. Users can then choose "channels" – articles grouped by publications or by themes like Politics, Science, or Entertainment – and how often they receive headlines as notifications. The app's interface is simple, yet colorful and its SmartView mode promises to tune out distractions and improve readability, a good feature for people with slower connections. The Pro Plan offers article translations, a nice feature for people who read a lot of international news. It's the only aggregator on this list that puts some features behind a paywall. Inoreader is an RSS reader with a vibrant community of content curators, a Discovery mode, user-generated subscription bundles, and more. It offers a free plan where people can subscribe to unlimited news feeds and folders and read them on any device. There's also day and night reading modes, free search and archiving of all your subs, and the ability to save articles to third-party tools like Dropbox or Evernote. The upgraded Pro plan is $50/year and includes push notifications, offline mode, article translation, and more. Feedly works across a variety of platforms and browsers. It's less user-friendly than other apps on this list. Feedly rose in popularity following the demise of Google Reader (R.I.P.). It's available for browsers, iOS, and Android and it lets you subscribe to content feeds from websites covering a wide range of topics from sports to politics to entertainment. It has multiple layout options, tagging, keyboard shortcuts, and more. A new mute filters feature lets you fine-tune your feeds by hiding unwanted topics or keywords. Best of all, its cloud-syncing feature lets you save and read articles across devices or share them on social media, so you'll never be without something to read whether you're at home or on-the-go.